Set of 4 stemmed wine glasses personalized with name on each glass. The Connoisseur Wine is an elegant, stylish, all purpose wine glass suitable for reds or whites and serves both a place setting as well as a personal thank you on your special day. 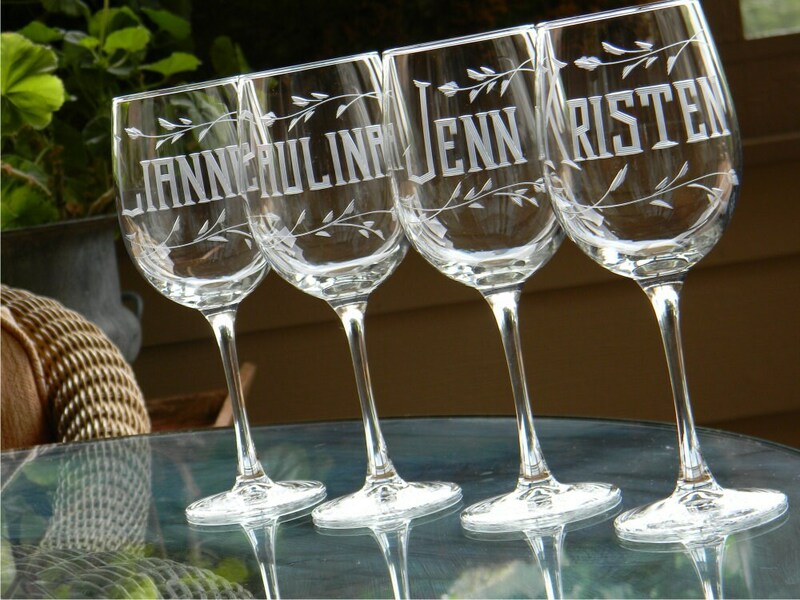 Engraving Included: Name (one word on each) and optional leafwork design.